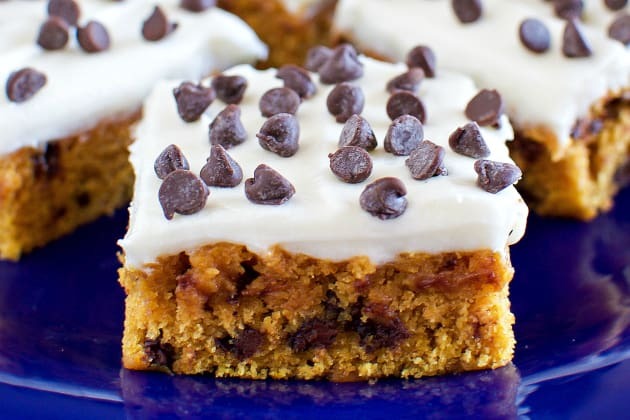 Pumpkin Bars with Cream Cheese Frosting are a delicious Thanksgiving dessert everyone will love. Pumpkin and chocolate, yes! If you ask me, bar desserts are where it's at! 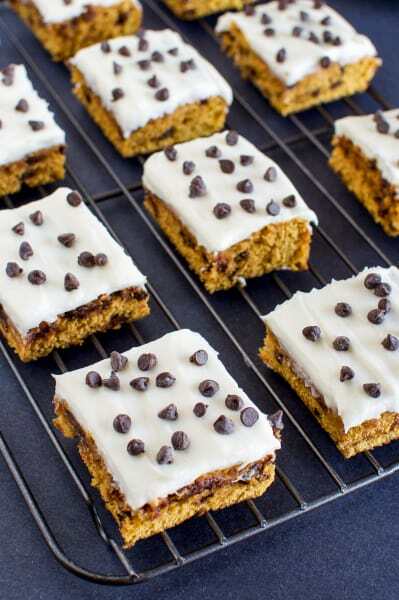 They are quick and easy to make, and incredibly tasty! 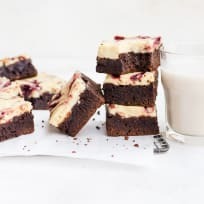 I love them so much I wrote a whole book dedicated to Brownies, Blondies, and Bars! And I still can't stop making them and coming up with more and more scrumptious variations. 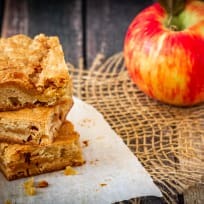 As we get closer to Thanksgiving and Christmas, and start thinking about our menus and all the delicious food we will make for our friends and families, why not make things a little easier on yourself when it comes to dessert? You already have to spend hours upon hours in the kitchen with the turkey, ham, and all the glorious sides - but your dessert doesn't have to be fussed over, and you don't have to sacrifice any flavor! 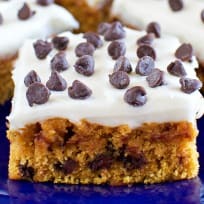 I never met a soul who didn't love a good bar dessert, and lucky for us, they are a cinch to make! You can cover them with all sorts of frostings and toppings, or mix them right in. There’s really nothing more versatile when it comes to desserts. You can match everyone’s favorite flavor profile, and not have to bake for hours and hours either. 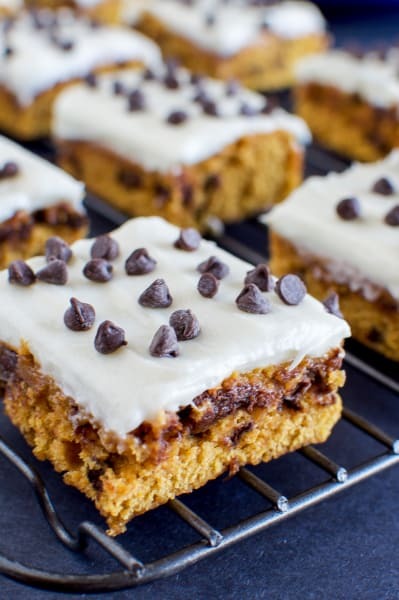 These Pumpkin Bars with Cream Cheese Frosting would make a beautiful addition to your holiday dessert tables! They have all those warm, cozy holiday flavors we love, plus the addition of chocolate chips and creamy, dreamy cream cheese frosting. Some folks don’t love pumpkin and chocolate together, but I think it’s absolutely dreamy. Especially with the addition of chocolate chips. Don’t you? 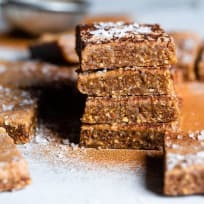 Place these bars on a pretty platter with some Easy Pumpkin Pie Truffles and Hot Chocolate Brownies, and you're holiday guests will be singing your praises, and they will for sure be back for seconds... maybe even thirds! Have a happy Thanksgiving! In a large mixing bowl beat together the butter, pumpkin, and brown sugar. Add the egg, salt, vanilla, and baking powder and mix well. Add flour and mix until combined. Stir in chocolate chips. 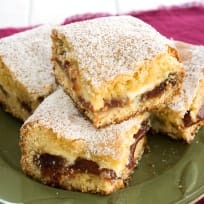 Spread into a greased 9x13" pan and bake 20 minutes or until a toothpick inserted into the center on the bars comes out clean or with moist crumbs. Do not over bake. In a mixing bowl, beat together butter, cream cheese, vanilla, and powdered sugar until smooth and creamy. 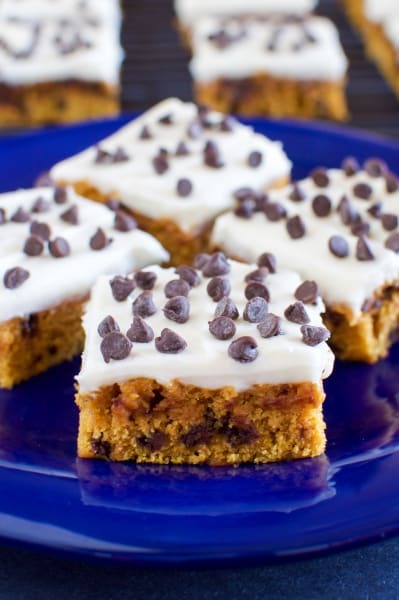 Spread over cooled bars and sprinkle with chocolate chips. Stephanie writes about all sorts of meals, snacks and desserts that'll have you Back for Seconds on her blog of the same name. 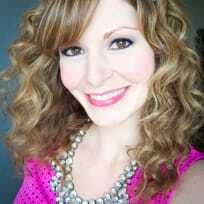 She's a Bar Desserts Fanatic, and it shows!